We provide focussed support to spin out opportunities from the University of St Andrews. We work with key staff on the development and implementation of business plans where the best route to capitalise on intellectual property and knowhow is not through the traditional route of licensing or outright sale of patent rights. 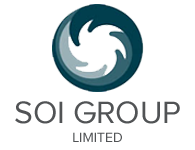 We are also a holding company for our investments in subsidiary undertakings who operate internationally in marine related consultancy and instrumentation development.